This lecture is a joint presentation of the National Gallery of Jamaica and the Edna Manley College. Marcel Pinas is one of the international invitees in the Jamaica Biennial 2017. The National Gallery of Jamaica, in association of with the Edna Manley College of the Visual and Performing Arts and NLS (New Local Space), are pleased to present a public lecture by the Trinidadian artist, writer and curator Christopher Cozier on Wednesday, January 11, at 12:30 pm in the School of Visual Arts Lecture Room at the Edna Manley College. Christopher Cozier was born in 1959, in Port of Spain, Trinidad & Tobago, where he lives and works. Cozier’s work has been featured internationally at the Brooklyn Museum; the Museum of Art and Design NY; the Havana Biennial; the Biennial de Cuenca, Ecuador; the Trienal Poli/Gráfica de San Juan: América Latina y el Caribe; the Eli and Edith Bread Museum at MSU; TEOR/ética, San Jose, Costa Rica; and the TATE Liverpool. He was a member of the editorial collective of Small Axe: A Caribbean Journal of Criticism and an editorial adviser to BOMB Magazine for their Americas issues. He is co-director of Alice Yard, a 10-year old arts space in Port-of-Spain which organizes exhibitions, artists’ residences, cultural dialogue and exchanges. He received the Prince Claus Award for 2013. Christopher Cozier is one of the international judges for the juried section of the Jamaica Biennial 2017. Cozier’s lecture, titled Actions Between Territories, will discuss the potential free/play spaces that Caribbean artists are constantly imagining, constructing, and navigating, including in his own creative practice and at Alice Yard. He will also discuss how the established idea of the Caribbean persists—as a viable fiction, as a site of exchange, an owned product or territory traded between various beneficiaries, internal and external. 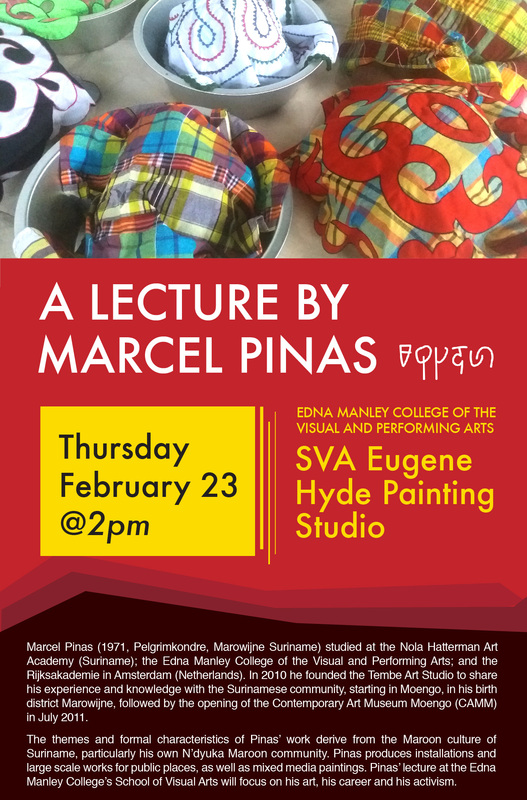 The lecture is free and open to the public but artists and art students are especially encouraged to attend. The Edna Manley College is located at 1 Arthur Wint Drive, Kingston 5. Parking is available on campus. The NGJ’s Chief Curator Charles Campbell was the guest speaker at the April 3 opening of Be Uncaged, an exhibition of student work at the Edna Manley College’s CAG[e] gallery. Since his remarks have broader relevance, we decided to share them here. The exhibition, which was curated by the students in the Introduction to Curatorial Studies course, is well worth visiting and remains open at the College until April 17. 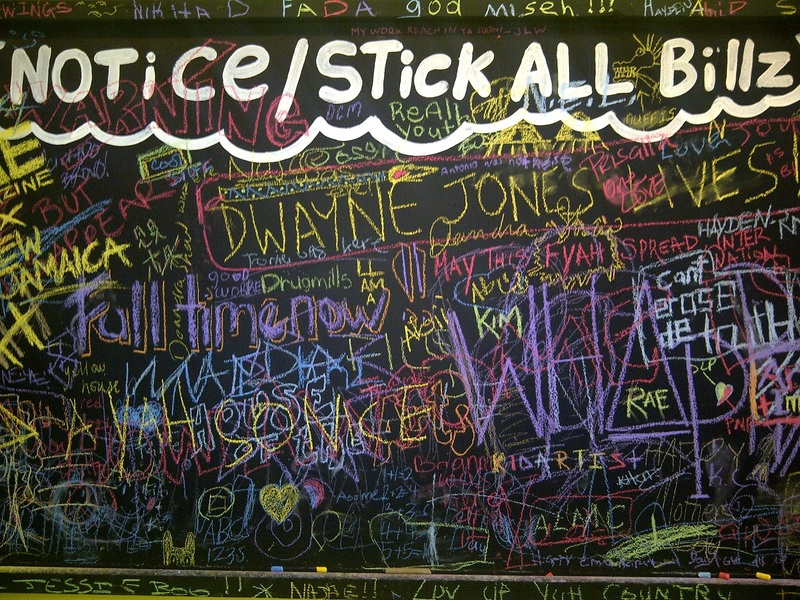 One of the questions I’m frequently asked is what I think of the art scene here. It’s a complicated question to answer. Are we talking about the artists that live here, the Island’s talent pool and what’s going on behind closed doors in studios and bedrooms across the island? Is it the quality of the exhibitions we get to see, the activity of the National Gallery and other spaces? Or are we talking about the health of the art market, commercial galleries and collectors? How about we talk about the nature of public support for the arts or we could consider the climate of debate, discussion and criticism, and then are we talking about what’s said on the verandas or what’s printed in the papers about Jamaican art? We can also look at the interest in Jamaican visual culture from the outside and the place Jamaican holds in the global imagination, or how well we participate in the growing and global network of Caribbean artists. 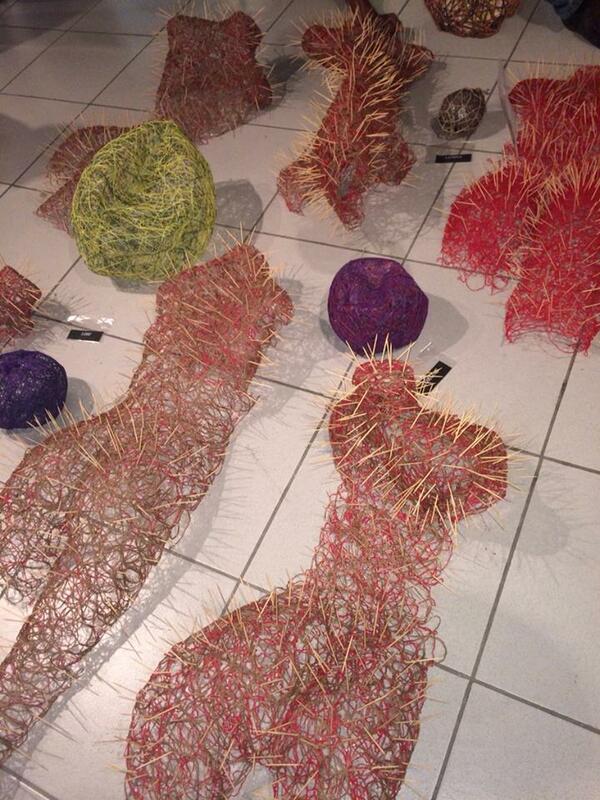 By each of these measures we come up with very different conclusions about the state and health of Jamaican art. 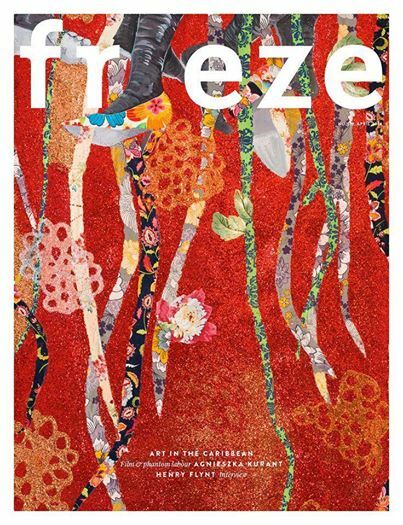 While this month we saw Ebony G. Patterson’s star rise further as she made history as the first Jamaican artist to appear on the cover of Frieze Magazine, the global economic downturn and local conditions have been an extreme challenge for artists in the commercial sector here. And while NLS is raising the bar as a critically engaged independent artists platform, last year’s close of the Mutual Gallery was the last brick to fall in a near total collapse of the local gallery scene. Depending on who you talk to you’ll hear stories of a healthy secondary market for art or one that is all but dead. Publicly there is little presence and no critical discussion in the papers about art in Jamaica, but privately, at least by my admittedly skewed experience, people are still passionately engaged with what’s happening. And while many have hailed the National Gallery’s exhibitions over the past couple of years as indicative of an exciting new direction for Jamaican art, others lament the decline of more traditional forms. The National Gallery of Jamaica is pleased to partner with the Edna Manley College’s 2013 Rex Nettleford Arts Conference by presenting a panel discussion on the critical issues arising from its current New Roots: 10 Emerging Artists exhibition. 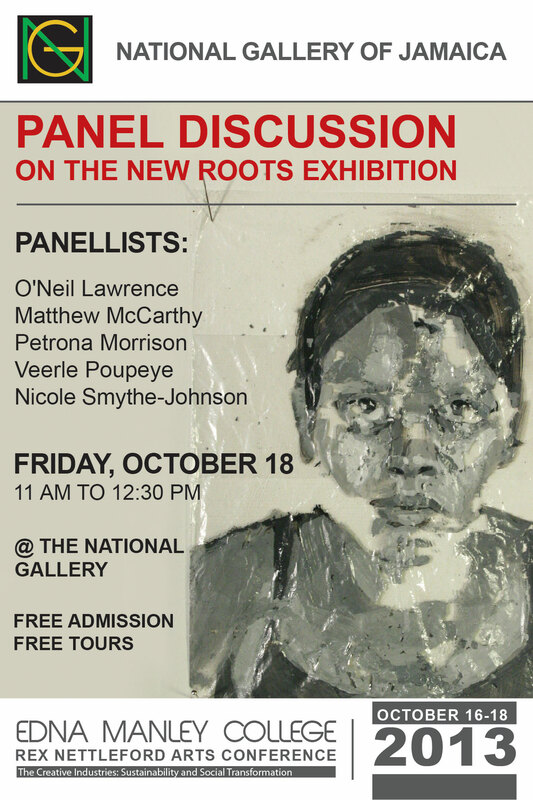 This panel discussion will take place at the National Gallery on Friday, October 18 from 11 am to 12:30 pm and the panel will consist of Matthew McCarthy, one of the artists in the exhibition, Petrona Morrison, the Director of the Edna Manley College’s School of Visual Arts, and the exhibition curators Veerle Poupeye, O’Neil Lawrence, and Nicole Smythe-Johnson. New Roots: 10 Emerging Artists, which was recently extended to November 2, 2013, features work by Deborah Anzinger, Varun Baker, Camille Chedda, Gisele Gardner, The Girl and the Magpie, Matthew McCarthy, Olivia McGilchrist, Astro Saulter, Nile Saulter and Ikem Smith who are all under 40 years old and new or relatively new to the Jamaican art world. New Roots was designed to identify and encourage new directions in the Jamaican art world, in keeping with the National Gallery’s mandate to support artistic development and to provide opportunities for young artists. It features are in conventional and new media – painting in various media and on various surfaces, digital photography, video and animation, and jewellery – and a variety of genres and styles, from the documentary to the fantastic. The exhibition reflects marked shifts in artistic and curatorial practice that respond to the current global and local cultural moment, especially with regards to the changing relationship between art work, artist and audience, and it presents new perspectives on art’s potential to foster social transformation in a time of crisis. Admission to the NGJ will be free on October 18 and free guided tours of the New Roots exhibition will be offered before and after the panel discussion. Conference registration is not required to attend this panel discussion. For more on the Rex Nettleford Arts Conference, please click here.